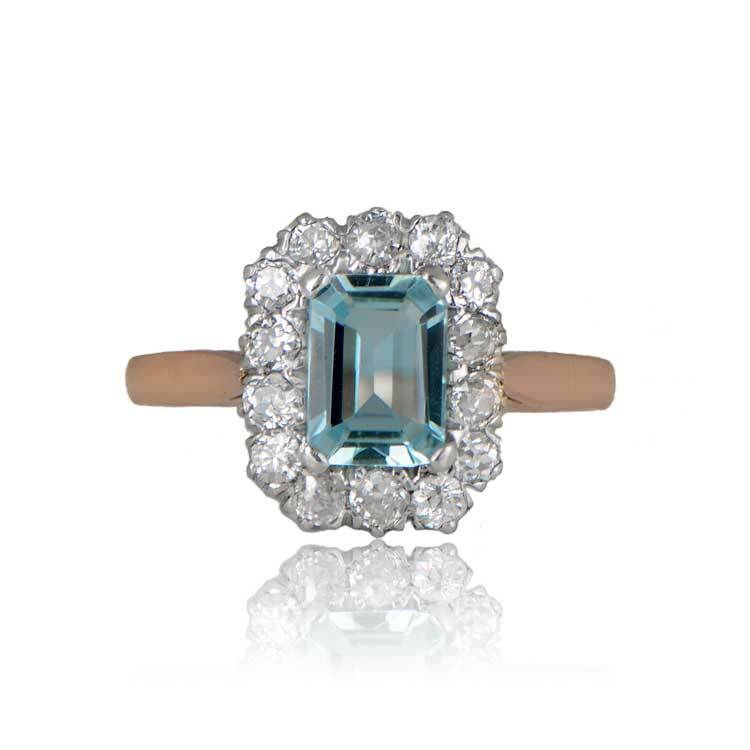 A delicate vintage style aquamarine engagement ring that centers a 0.80 carat aquamarine with a sweet hue/saturation and great clarity. 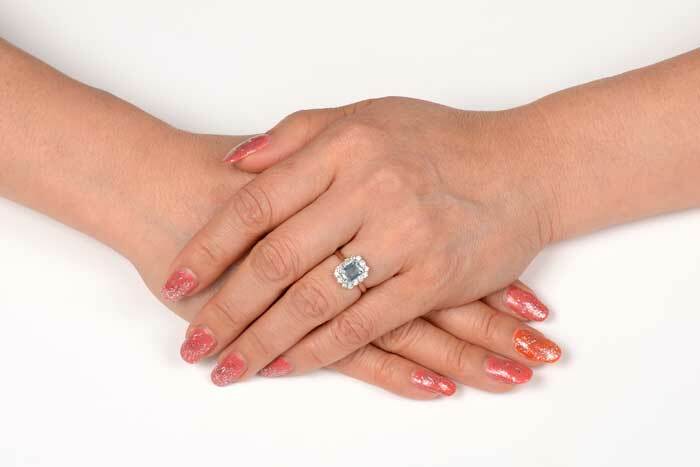 Surrounding the gemstone is a cluster of old mine cut diamonds with a total approximate weight of 0.60 carats, VS2-SI2 clarity, and I-J color. 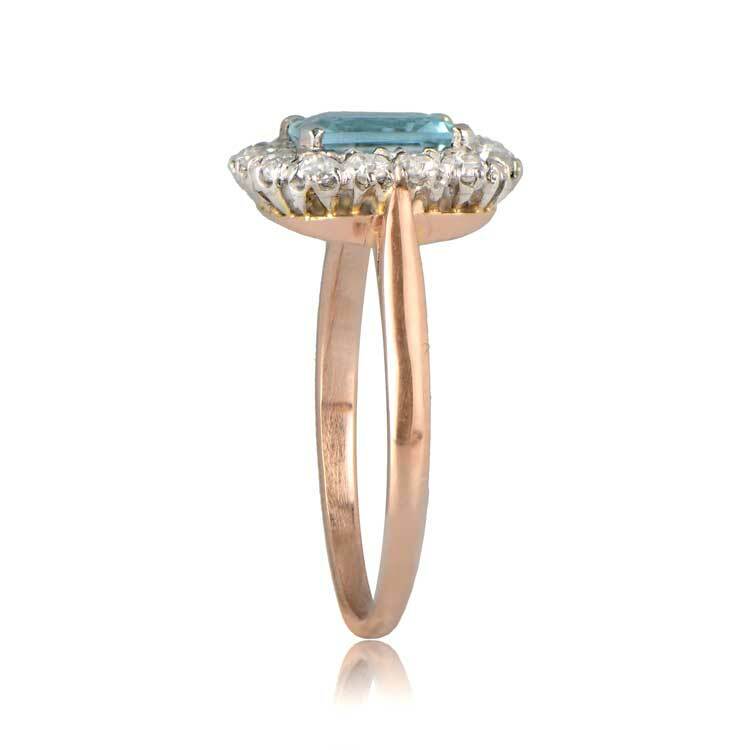 This ring is platinum topped and 18k yellow gold. 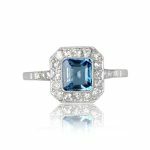 The measurements of the aquamarine are 5.06mm x 7.10mm. 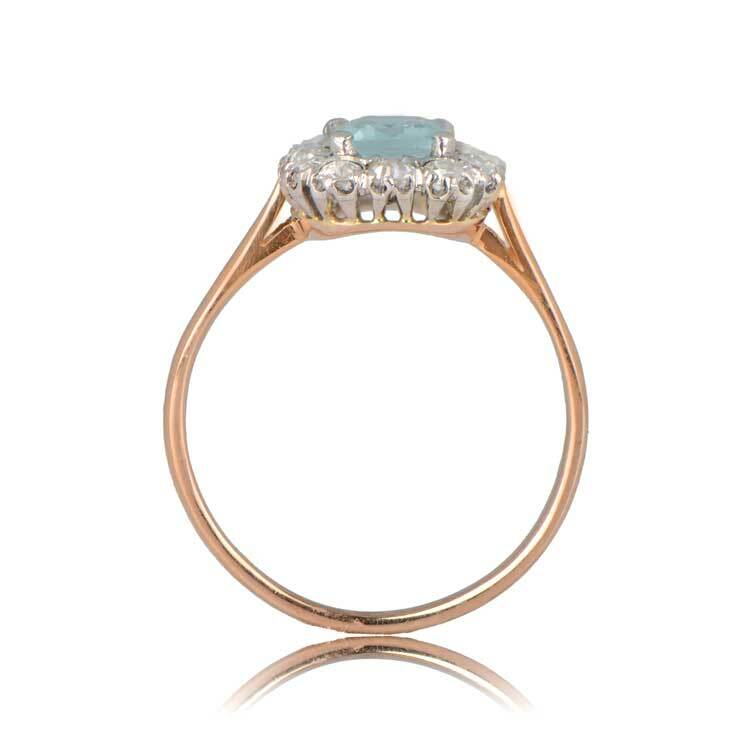 The measurements of the aquamarine and the cluster are 9.95mm x 12.25mm. 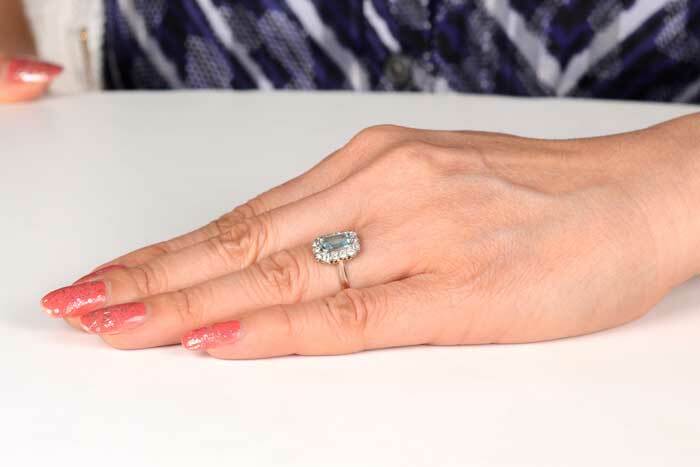 This ring can be sized to any size at no extra cost. 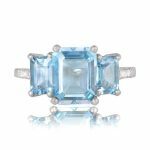 SKU: 12055 Categories: Aquamarine Engagement Rings, Vintage Engagement Rings Tag: Elongated Engagement Rings - Contact us and request additional pictures.